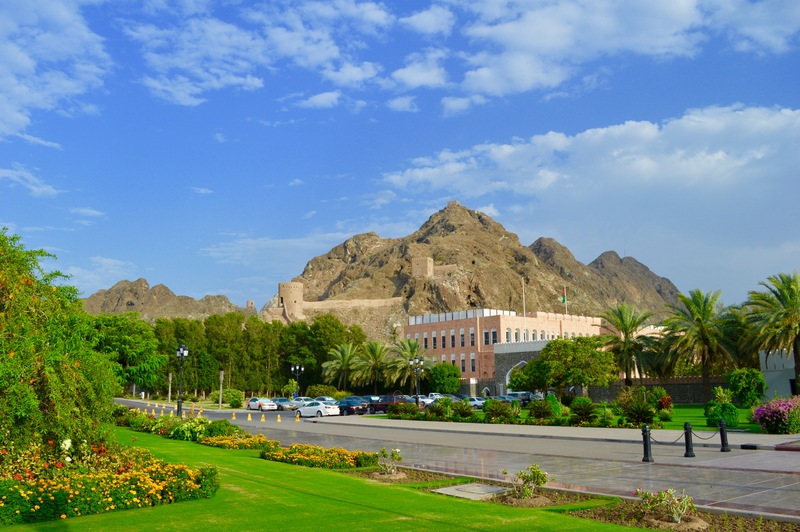 When I arrived in Muscat in the early morning, I could already see the huge dimensions of the capital city from the air. 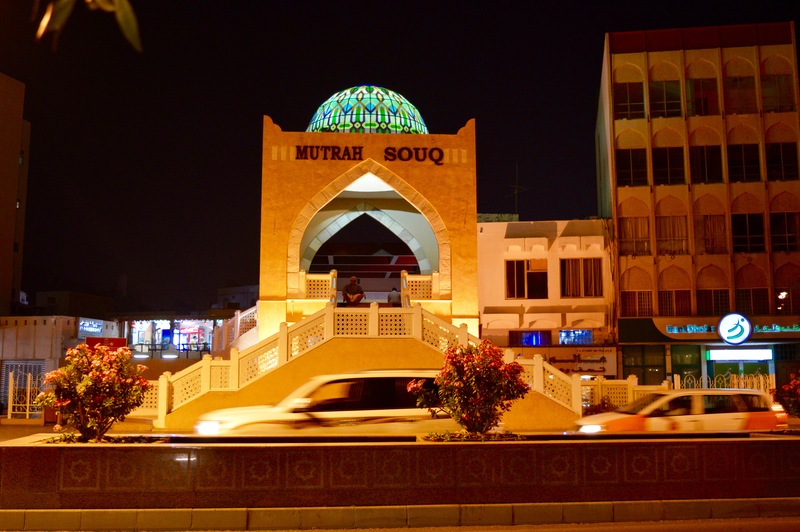 In the south, Muscat is adjacent to the Al Hajar Mountains, north to the Indian Ocean. Due to this, the city has expanded in the horizontal and has no real center. 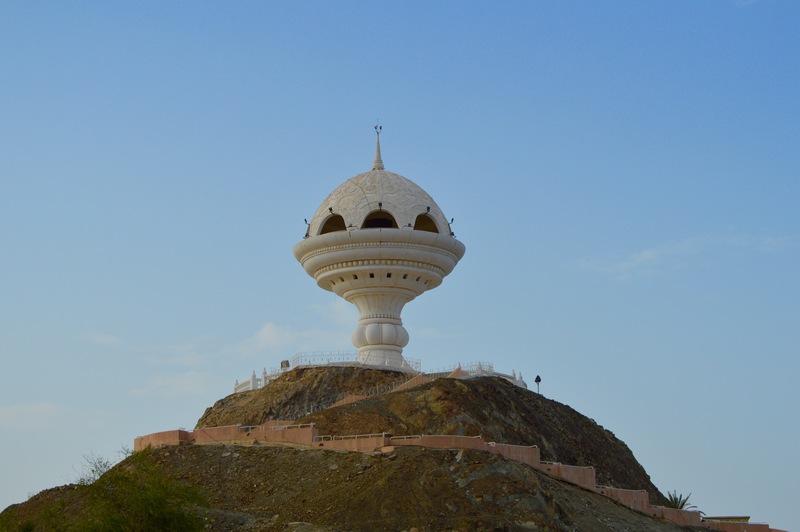 My final destination in Oman was a beach vacation in the southern Salalah. Because of that, I wanted to see as much as possible of this city within three days. The taxi is not as low as it was in Dubai, but still a lot cheaper than in Germany. Nevertheless: You have to fix a price before every trip – I haven´t seen any metered taxi! But for sure every taxi has at least one tissue box, which is obviously popular are all over Oman. In the big supermarkets, there are even high-bay-malls with tissue-boxes of different versions – really unique! 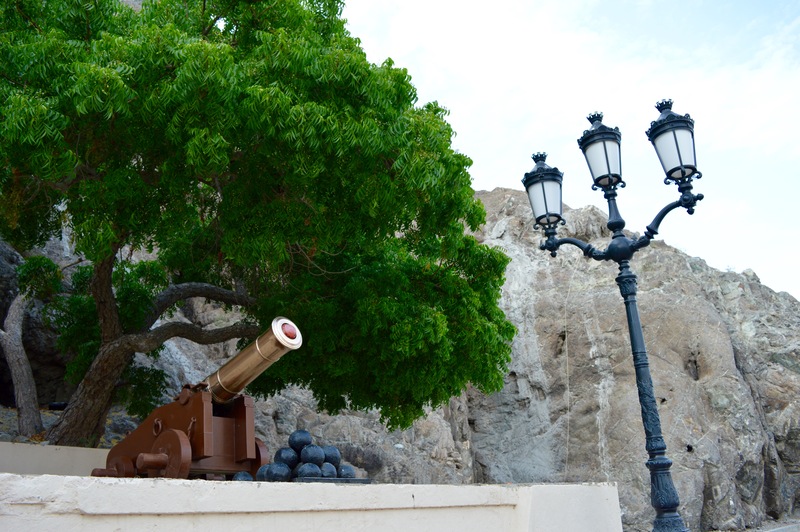 My personal highlight in Muscat was the area around the Sultan’s palace. Parts of the ancient city walls and several watchtowers remain impressively to the glorious seafaring times before the boom in oil production. 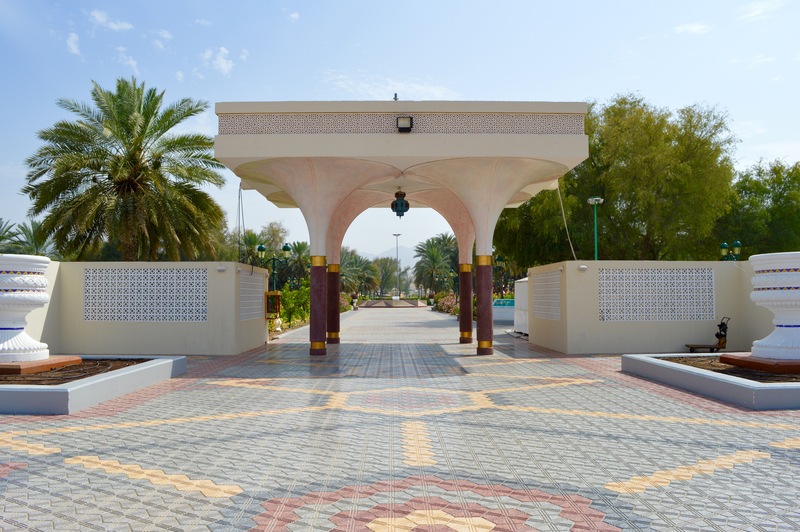 Discover the area at the Sultan´s palace – absolutely impressive! 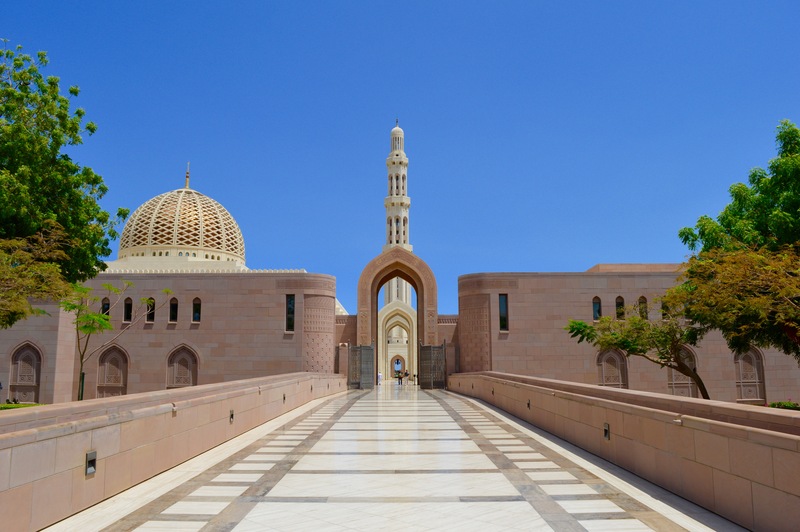 Visit the Grang Mosque – imposing and beautifully designed! 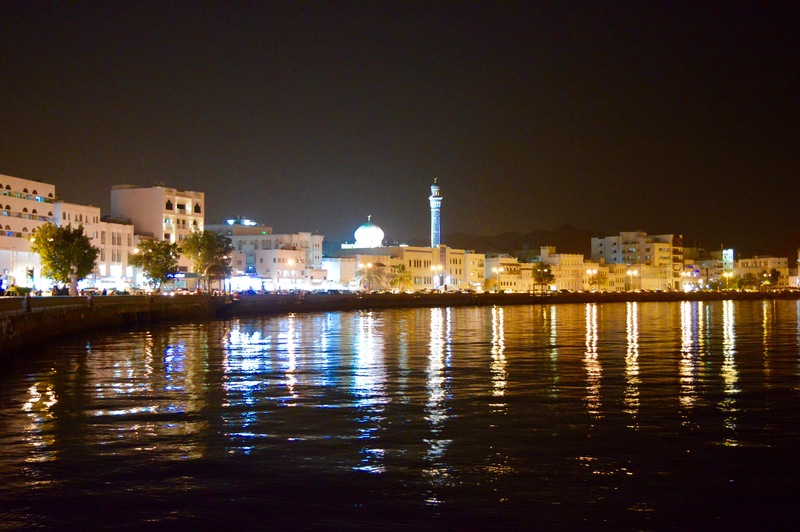 Stroll through the Muttrah Souk in the evening – 1001 nights at its best! Take a walk through the Natural Park – it´s worth every bead of sweat, even in summer! 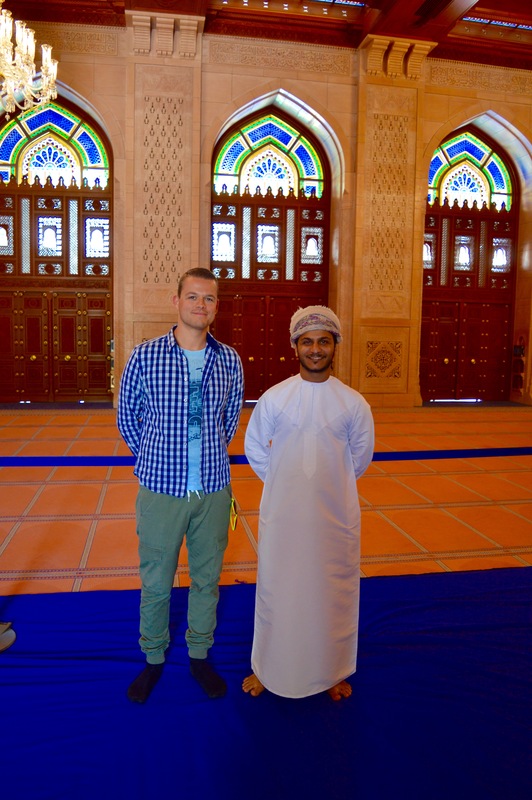 Enjoy the friendliness of the Omanis – absolutely outstanding! 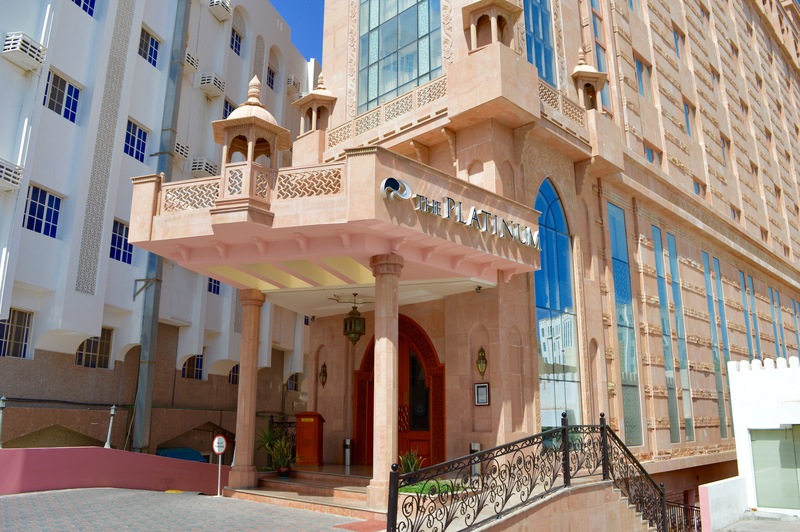 For my 3 days in Muscat I decided for the Hotel The Platinum, mainly due to the location near two shopping malls and the airport. A separate report about the hotel is published here. 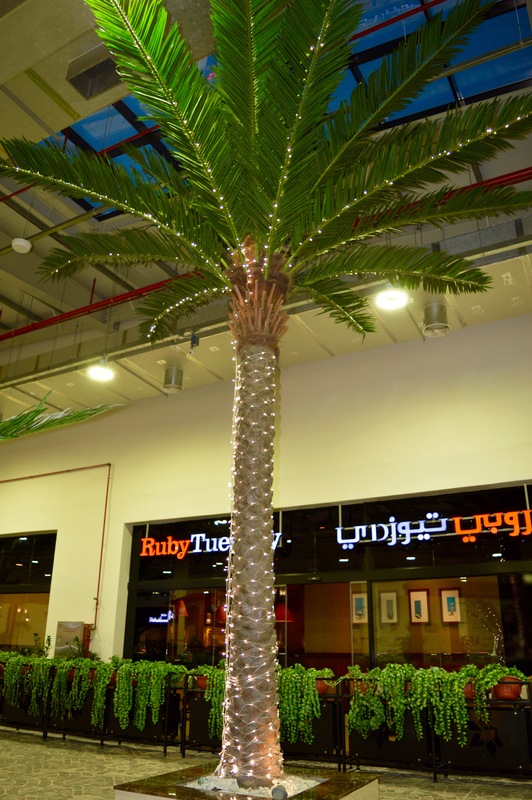 Although the dimensions of the shopping malls in Oman can´t be compared with the ones in Dubai, they are nevertheless very nicely decorated and very clean! 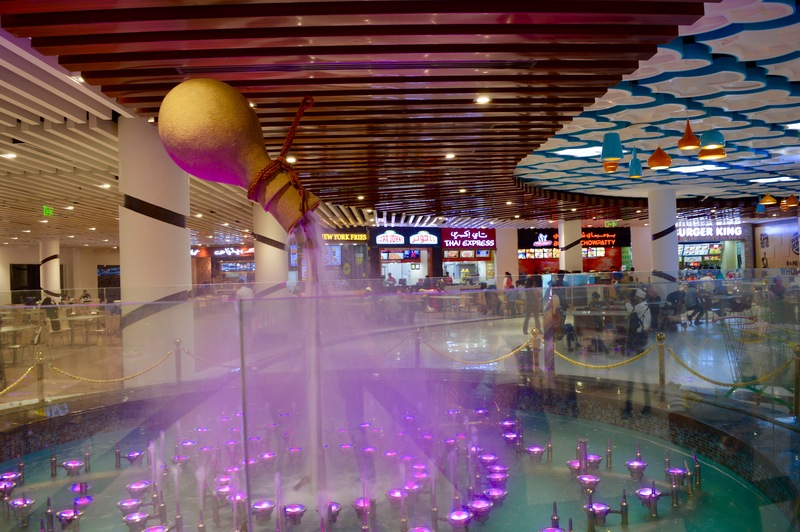 Like here, the Avenues Mall near my hotel. 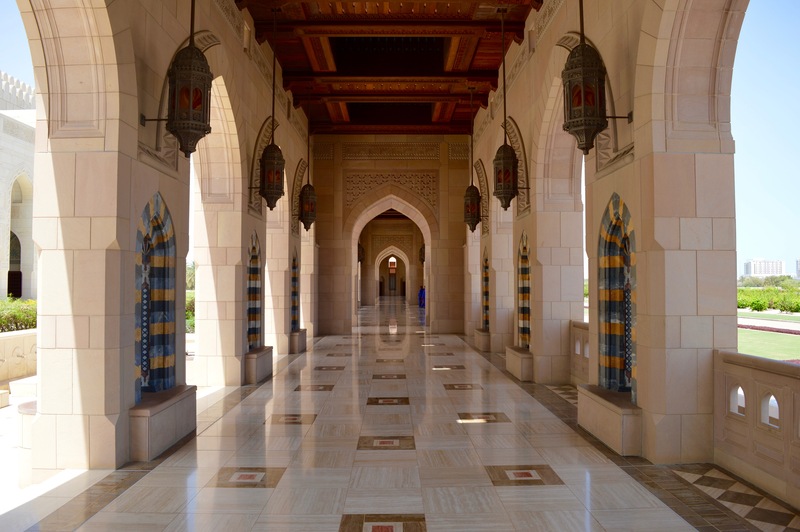 One example is the third floor, which is built like a Palm Garden, where I could easily relax on various benches and beautifully lit artificial palms. 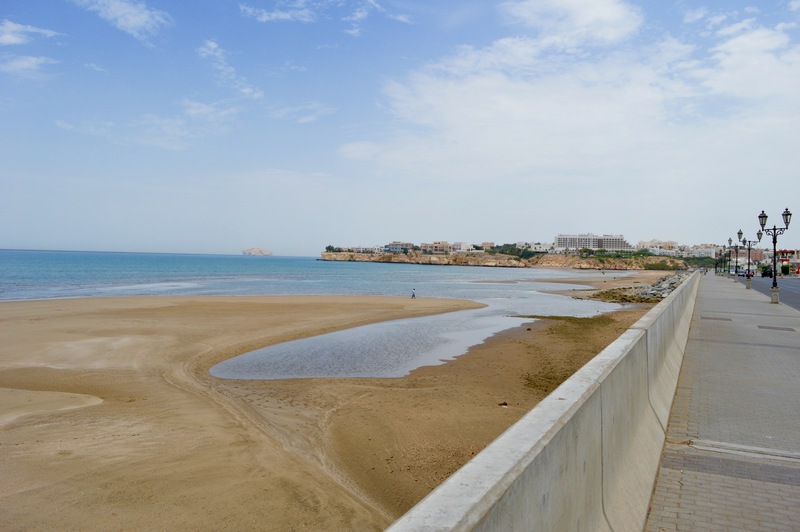 When I asked for a beach, I was recommended to visit the Al Qurum Beach. Whyever, except a local fisherman, I was the only visitor at the whole beach area. 20 minutes later my path led me further to the Qurum Natural Park. In addition to numerous manicured grounds, a large lake is the heart of the park. 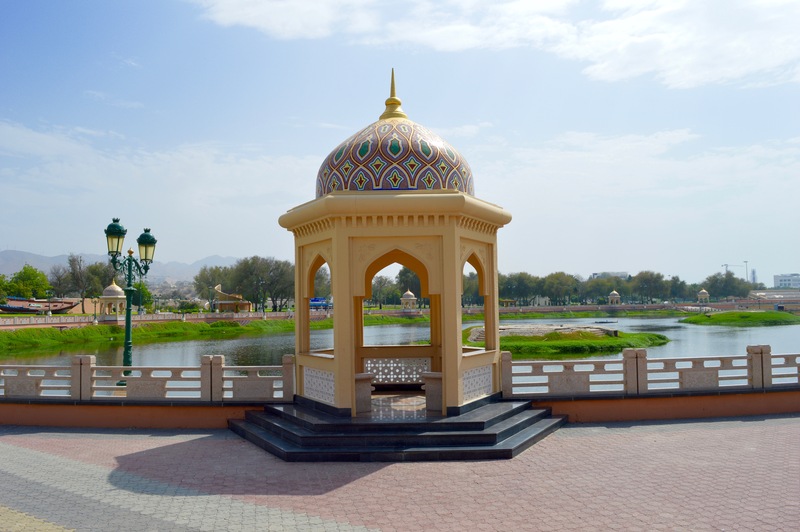 As everywhere in Oman, each way and the whole area is very well maintained. 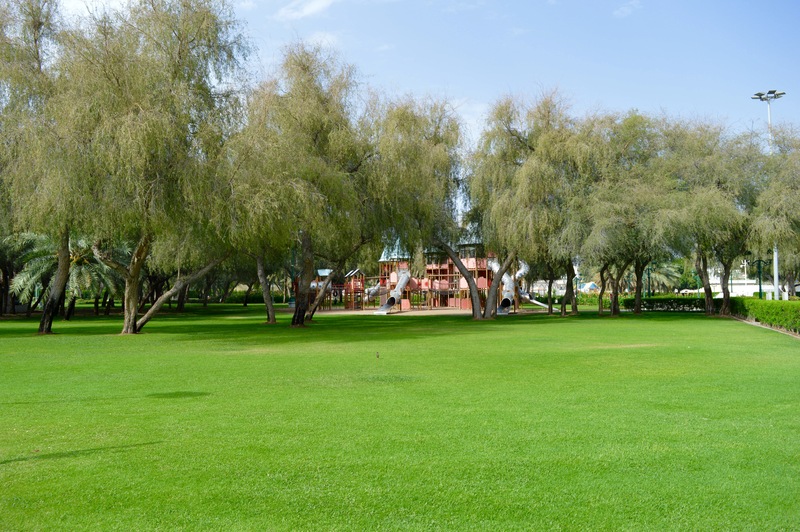 Be careful: There are just a few shade places in the park and only one stall was offering drinks – be prepared! 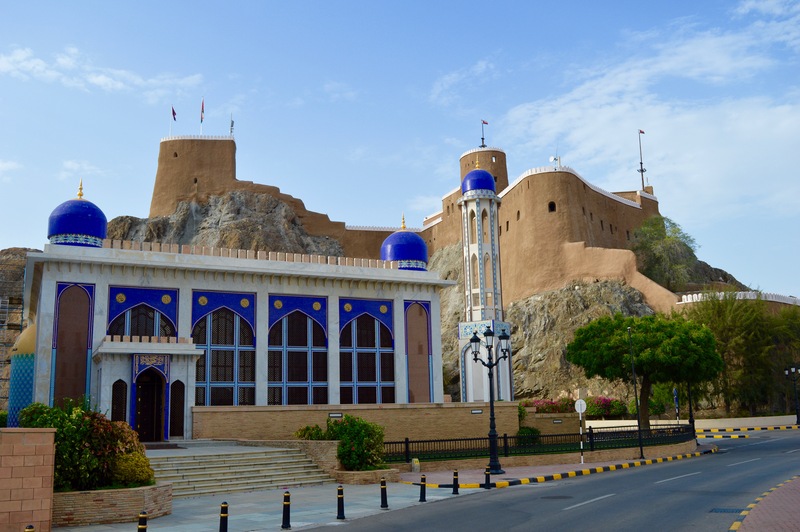 In the far east of Muscat, there is the imposing Sultan Palace. 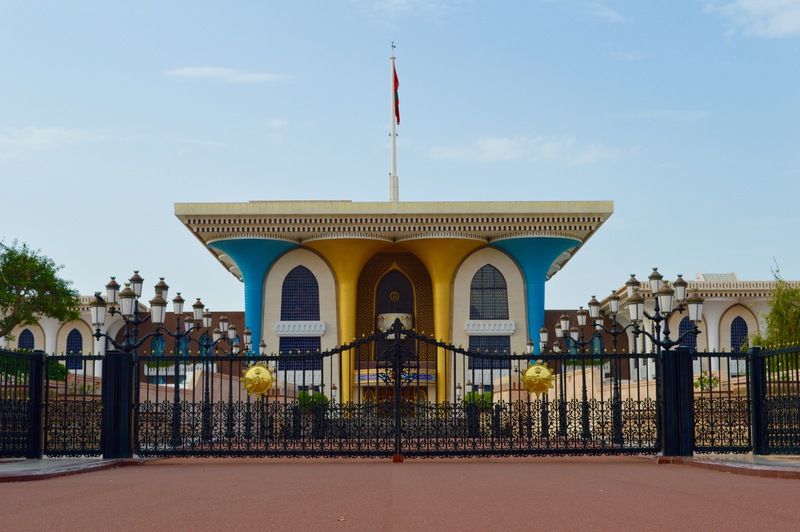 Sultan Qaboos bin Said al Said. Here it´s also noticeable that every single marble slab and each plant is posh and absolutely clean. On the right side of the palace you can still see original parts of the city wall, which was built into the mountains. Following the road in front of the palace to the left, you reach the sea and can see the dimensions of the palace grounds from the back. In addition to a mosque and the restored part of the old city walls, the street is decorated by some prop of the past centuries. I could regognize several times why Muscat is called the white city. 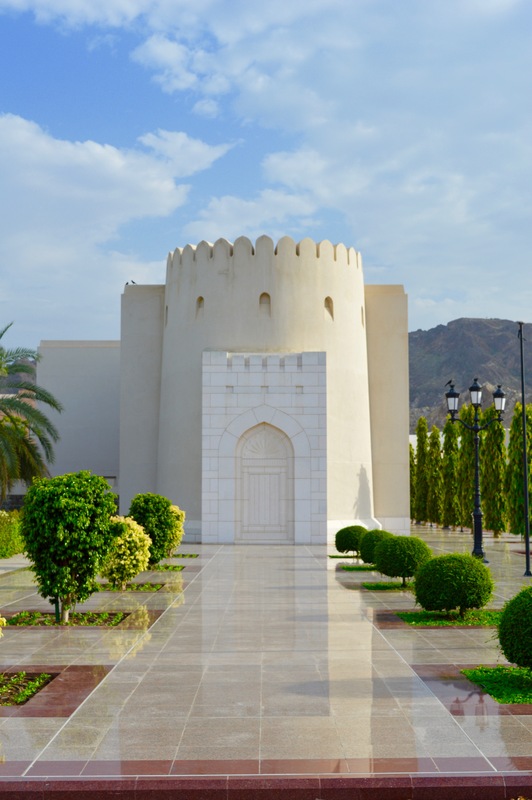 One of the landmarks in Muscat is definitely the great censer which reflects the omnipresent scent of the precious resin in architectural style high above the city. You feel like in the tales of 1001 nights when you visit the Mutrah Souk. Along the Corniche promenade various reasonably priced restaurants open from 4 pm. During my visit the yacht of the Sultan anchored in the harbor. 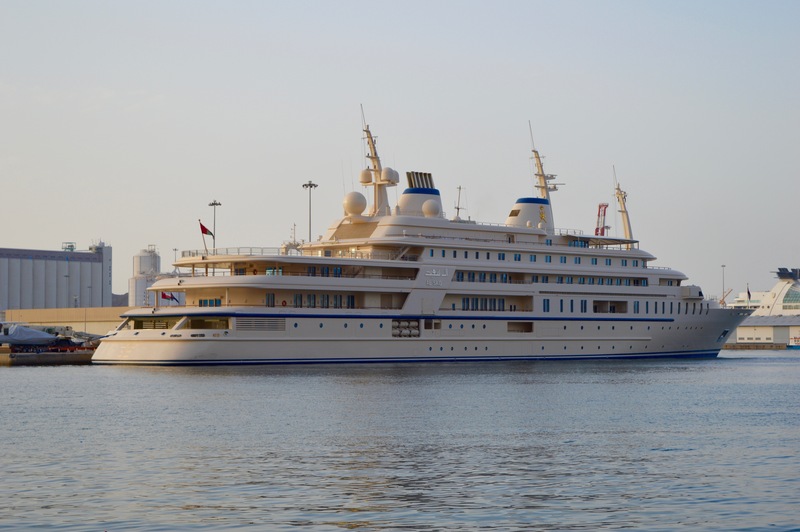 With 154 meters, the Al Said is the fourth longest private yacht in the world. Once the sun had sunk behind the barren mountain range, the incense fumes began to spread between the countless shops and market stalls and they instantly put me in oriental holiday mood – just wonderful! 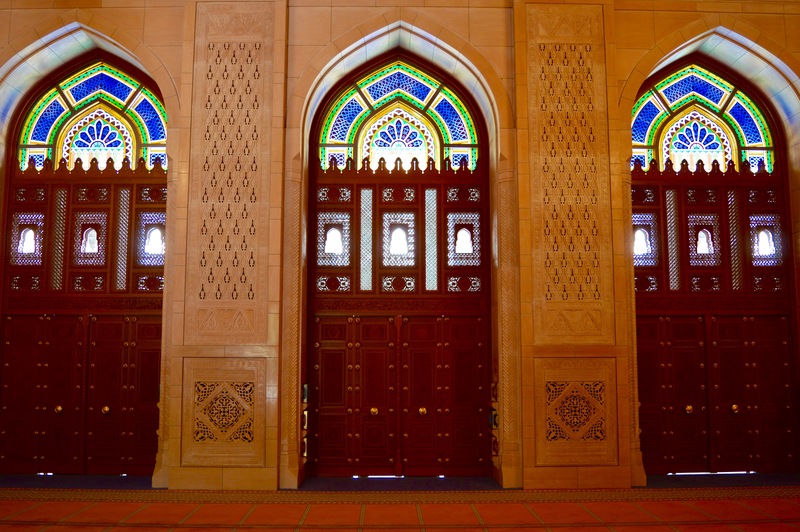 Another highlight in Muscat definitely is the Sultan Qaboos Grand Mosque. It isn´t just very huge and detailed only from the inside, but also the outdoor area. 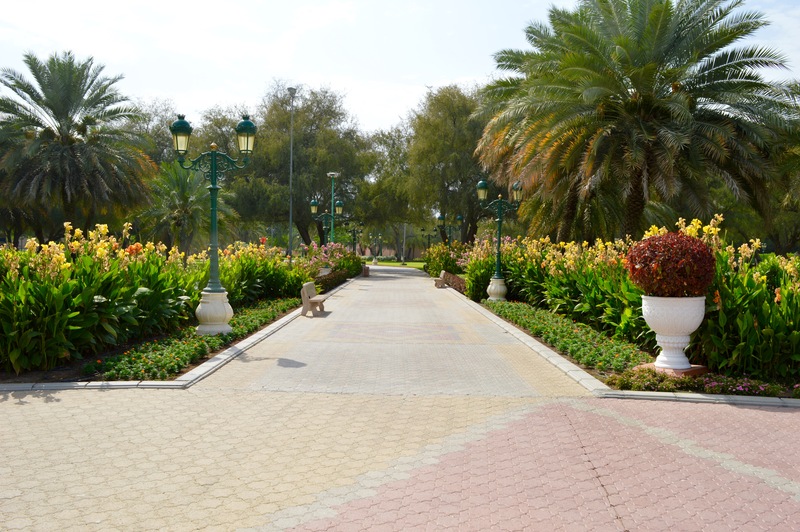 In contrast to the Sheikh Zayed Mosque in Abu Dhabi everything is created very green. 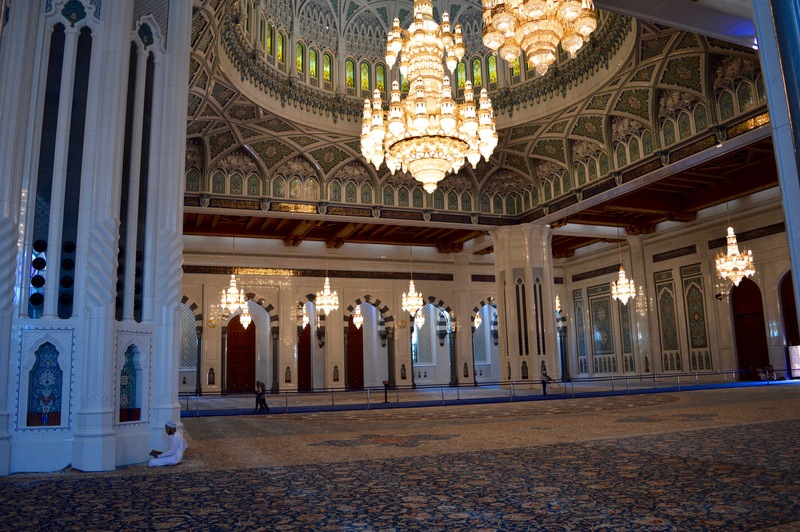 Both the 8-ton, large chandeliers and the 22-ton, hand-made Iranian carpet let the mosque appear very impressively . 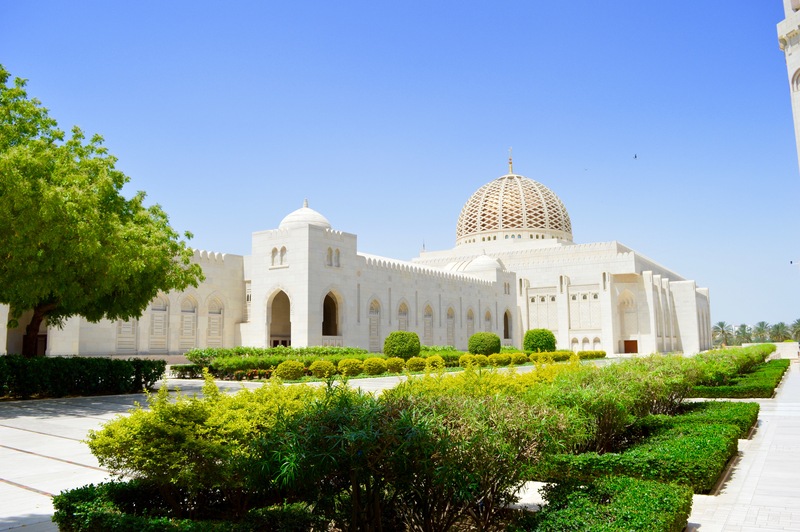 Muscat – the visit of the capital of Oman has come to an end after three fantastic days and my journey continued with a domestic flight to the southern Salalah. „The Greatest“ or „the highest“. 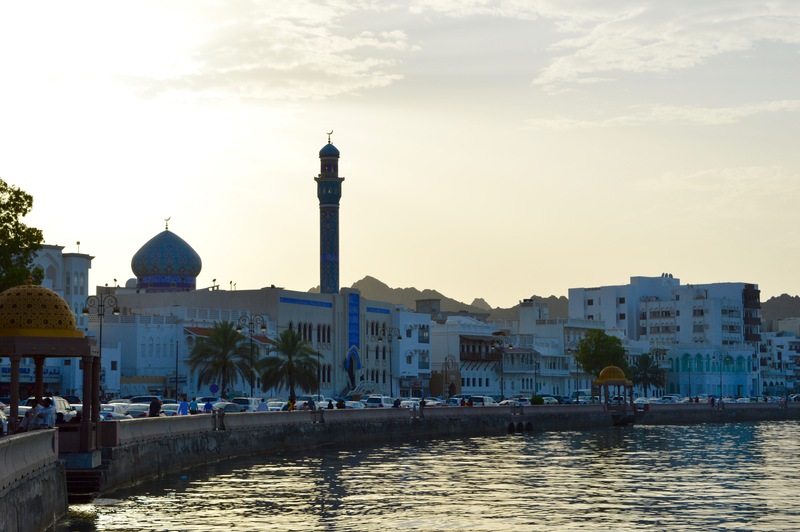 Therefore, it is the perfect destination for those who want to experience the traditional Arabia and the friendliness of the Omanis is absolutely stunning!